Dan Marquez is local philanthropist and activist for Credit Union and LGBT Advocacy. He has worked for Credit Unions across the state for 6 years and is a participant in Governmental Affairs Conference representing Nebraska Young Professionals for Credit Unions in Washington D.C. Marquez serves on the Board of Directors of Young Professionals for Credit Unions as Political Advocacy Chair, working with the Nebraska Unicameral and state lawmakers for Credit Union rights. Dan serves as Branch Supervisor and Fundraising Coordinator for LINCONE Federal Credit Union. Marquez is instrumental in organizing a variety of philanthropic events for Nebraska Credit Unions. 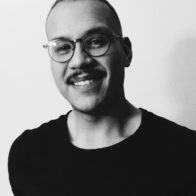 He is active in the community and is passionate about people helping people which lead him to organize The People Project whose objective is to cultivate innovative street outreach through community events and promotion. Dan enjoys music, creating new community relationships, working with other young artists and creating an all-inclusive atmosphere in Nebraska!